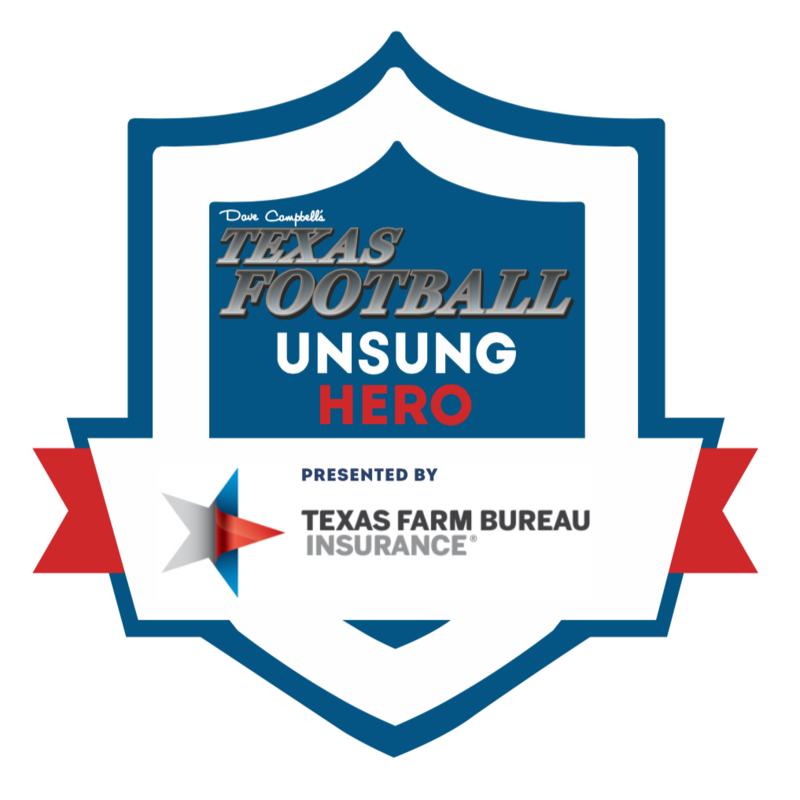 Dave Campbell’s Texas Football has partnered with Texas Farm Bureau Insurance to shine the spotlight on some of the most deserving young people in Texas football with the Unsung Hero Award. 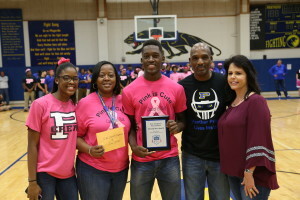 Only five (5) students in the entire state were honored with this special accolade and were presented with an award at their school’s pep rally and Friday night football game. 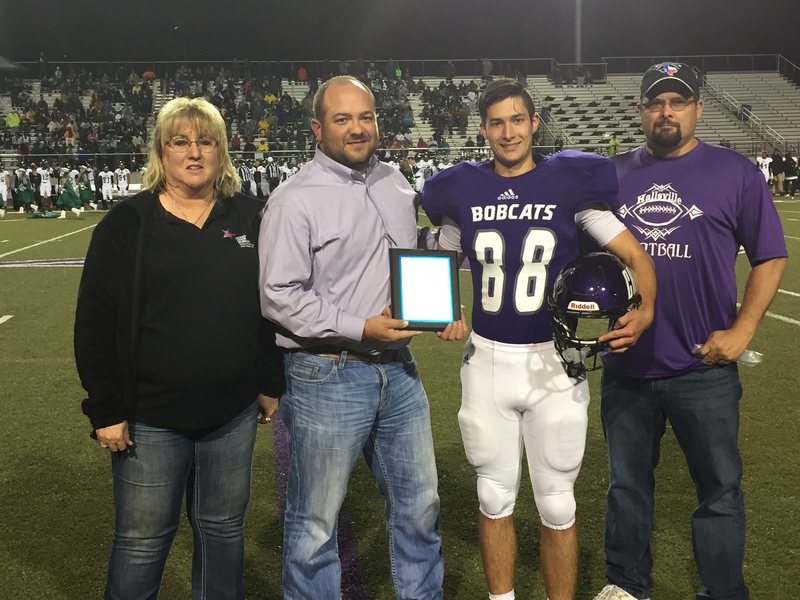 Farmersville's Eli Shinn receives the Dave Campbell’s Texas Football Unsung Hero Award presented by Texas Farm Bureau Insurance from TFBI agent Michael Cross (right) and DCTF's Robel Melesse (left). 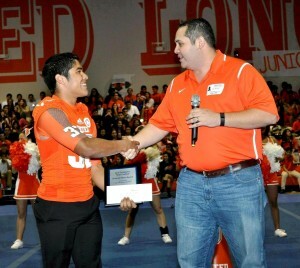 Laredo United's Alexis Villanueva (left) receives the Dave Campbell’s Texas Football Unsung Hero Award presented by Texas Farm Bureau Insurance from TFBI agent JuanCarlo Rendon (right). 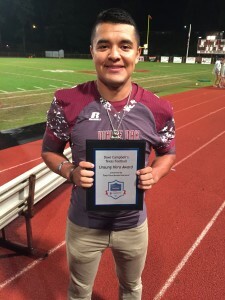 White Oak's Carlos Camacho received the Dave Campbell’s Texas Football Unsung Hero Award presented by Texas Farm Bureau Insurance from TFBI agent David Madden. 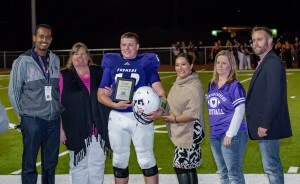 Hallsville's Brett Gibson (middle right) Dave Campbell’s Texas Football Unsung Hero Award presented by Texas Farm Bureau Insurance from TFBI agent Brian Brazil (middle left). 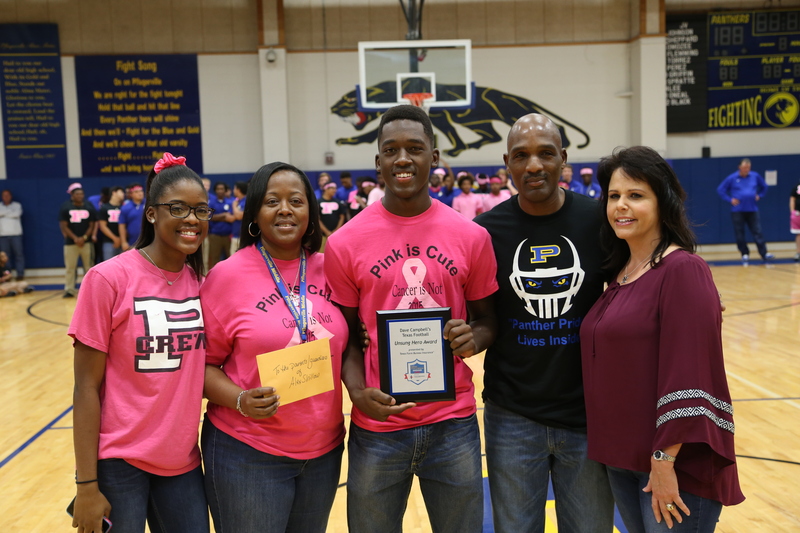 Pflugerville's Alex Shillow (center) received the Dave Campbell’s Texas Football Unsung Hero Award presented by Texas Farm Bureau Insurance from TFBI agent Penny Glass (right).